With the high demand for convenient and experiential shopping environments, today’s customers are omni-channel shoppers, meaning they will tap both online and offline retailers to complete their shopping. Often they’ll first search online and then check a product out in store before making a purchase – or they’ll buy certain things exclusively online, while others are in-store purchases only. By joining forces, brick-and-mortar and online retail teams can meet the emerging needs of customers seeking an integrated and seamless experience—allowing growth and profitability for brands. Retailers that can provide a unique and well-planned omni-channel experience will capture the attention and purchases of today’s busy and demanding shoppers. Today’s shoppers expect more. They’re looking for a memorable experience, whether online or offline, that allows them to explore more of a brand’s offerings while receiving knowledgeable and personalized help. Brands must start thinking past the traditional retail model. In fact, brands that are still in this headspace are already behind the times. Experiential retail is breathing new life into brick-and-mortar stores with unique in-store environments that take shopping to the next level. Candytopia, the Wonka-inspired playground, is an interactive, Instagrammable pop-up museum that features more than a dozen unique rooms and art installations inspired by pure, sugary bliss. The museum is dedicated to all things sweet and colorful to fully immerse consumers into a world of complete fun. Although it’s only eye candy in each environment, there is free candy provided in each portion of the pop-up—clearly a co-marketing deal with various brands ranging from Pixie Sticks to Lindt truffles. Opening a visually appealing and interactive experience allowed the brand to leverage the virality of people’s social media accounts. Retailers should be providing customized and specialized in-store experiences tailored to online shoppers. This may also mean bringing some of the benefits of online shopping to physical stores. Allowing customers to receive products the way they prefer is a great start. Think about the needs of someone who is shopping online and address those needs in the physical store. Enhance the online experience with in-store pickup and cashier-less checkout. This allows online shoppers to get the instant gratification of in-store purchases without having to navigate the store itself. Conversely, those shoppers who prefer to have items delivered to their doorsteps could shop in stores and then get free home delivery—allowing them to continue their day without being weighed down by bags or large purchases. Earlier this year, Nordstrom launched its first Men’s Store in Manhattan, where it offers shoppers cocktails, a shave and more importantly anytime pickup. Catering to the fast-paced New York lifestyle, this location allows customers to order items online and meet a store associate at the front of the store for pick up. These added values will draw in more customers, help retain current customers, attract online shoppers and create innovation—pushing the brand forward in the eyes of the customers. Equally, online retailers need to provide shoppers with the option of a physical store experience. The experiential pendulum swings both ways and bringing some offline features to online shoppers can benefit e-commerce brands as well. In addition to same-day in-store pickup, online retailers should consider a space where shoppers can get to know their brands and products in physical locations. For online retailers looking to enhance their customer experience without investing too much to start, the pop-up store is an innovative way to provide the customer with the added value they are seeking. Pop-ups used by e-commerce retailers provide a unique opportunity to collect data and capture consumer habits and feedback while still offering an affordable and agile solution for taking the next step to brick-and-mortar offerings. Additionally, for online retailers, giving customers the opportunity to interact with products, even if on temporary basis, can create the connection and buzz needed to take an e-commerce seller to the next level. It’s time to innovate and collaborate! Right now, retailers have a tremendous opportunity to connect with consumers and capture their dollars, which will require a well-coordinated system of brick-and-mortar and online outlets working in tandem at every turn on sales tactics, new product introduction, special deals/offers/discounts, upgraded items, and branding or rebranding; for a cutting-edge example of combining the virtual universe with real world experiences, check out Bonobos’ "show-rooming" concept that allows customers to examine and order items (in person) directly to their homes or offices, without the hassle of having to lug away heavy bags. Ultimately, to draw the attention of the modern shopper, meet their evolving expectations, and earn their dollars, those ready for success will need to look to a distribution chain that can remain in 100 percent lockstep, both online and off. 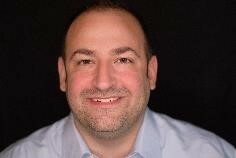 With more than 15 years of experience as an entrepreneur, innovator, investor and leader of facilities management and construction companies, CS Hudson CEO, Joseph Scaretta, is perfectly primed for his role in driving and delivering the company’s strategic vision while ensuring all internal and external goals are met. Highly successful at growing brands through creative niche service offerings, Scaretta has become sought after by many familiar names across the country for his legendary customer service and ability to foster a “get it done” team culture. A strong proponent of corporate social responsibility, Scaretta received the Helping Hands Award from Citi Group and NYS SBA in 2013 for his work in rebuilding post-Hurricane Sandy, as well as a 2012 honorable mention in the Corporate Social Responsibility category by PR Daily for creating the Long Island Young Entrepreneur Challenge. Scaretta attended Hofstra University, Dowling College and is a member of the International Council of Shopping Centers (ICSC). He currently resides in Trumbull, Conn.
CS Hudson is a leading project and program management firm specializing in turnkey services and purpose-built facility solutions that help clients with dispersed portfolios deliver the consistent, high-quality brand experiences customers expect. Innovative, resourceful, versatile and creative, CS Hudson's experienced professionals are renowned throughout the industry for their expertise in developing, implementing, and managing projects and specialty trade programs within the retail, restaurant, healthcare, industrial and commercial sectors. Working throughout the U.S. with companies ranging from startups to Fortune 500s, CS Hudson provides a tailored approach to meet the needs of its clients, all with unique concepts, brands, budgets, challenges and goals. Beyond streamlining processes, reducing expenses and mitigating risks, CS Hudson serves as a trusted adviser and partner, helping clients communicate with all stakeholders to successfully drive a plan to execution.